Peptest is a rapid, accurate, painless and inexpensive saliva test that tells you conclusively if you are suffering from reflux disease. Saliva samples can be collected by patients at home in sample tubes, which contain citric acid as a preservative, and can be posted to our laboratories for analysis. In the laboratory, we test the saliva samples for the presence of a stomach enzyme called pepsin. Pepsin is only found in the stomach, so if it is found outside in saliva then we know it has been refluxed. Jeanine, our Research Technician, looks after saliva samples once they arrive at the laboratory. Here she describes the Peptest analysis procedure, which typically takes about 22 minutes to complete. 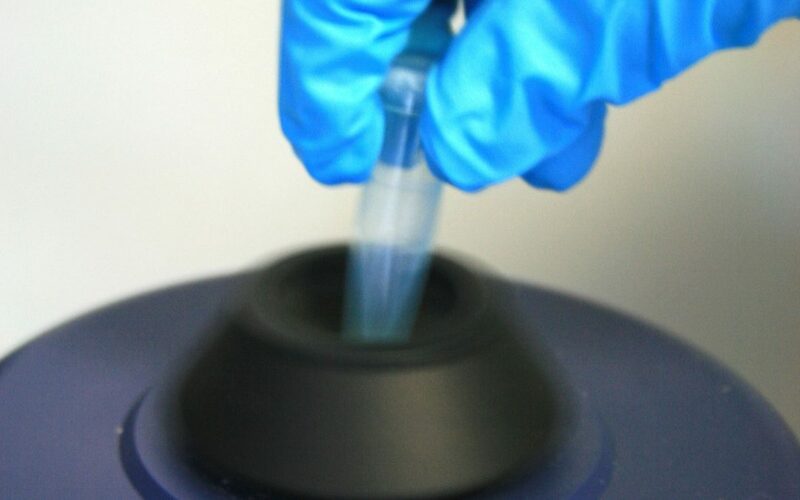 “Firstly, I will spin down the saliva sample in a centrifuge machine for five minutes, at a rate of 4000 rpm, to remove any insoluble material from the saliva and leave a clear supernatant layer. Then, using an automated pipette, I will take out a sample of this layer and dilute it with a migration buffer solution before mixing this sample in a vortex mixer for about 10 seconds. 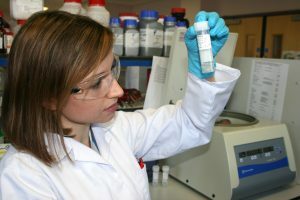 A sample is then removed and added into the well of the Peptest device and after a few minutes a blue line will appear on the device – this line is a control line and confirms that the test is working correctly. Within 15 minutes, a coloured line will become visible through the viewing window at the test line if there is pepsin present in the saliva. The test line is visible if Pepsin is present at a concentration of 16ng/ml or more. I can also measure the concentration or intensity of pepsin in the sample using an electronic lateral flow reader. A second member of the Peptest team, such as Andrew our Laboratory Manager, will clarify the readings and all samples will then be removed as clinical waste. Without early diagnosis and treatment reﬂux can, in time, lead to damage to the oesophagus and a condition called Barrett’s Oesophagus that in some cases leads to oesophageal cancer. In certain cases it is also responsible for cancer of the Larynx. 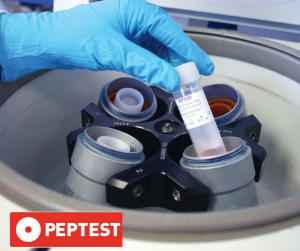 Find out more about Peptest and where you can order your test at our website. You can also Like and Follow ourPeptest Facebook page.